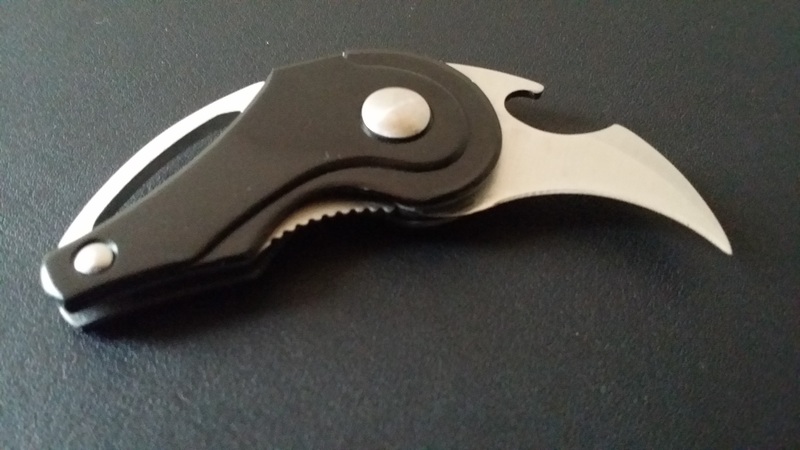 The BeerHunter is a small pocket knife with a curved blade and an integrated bottle opener. Should it be your next pocket knife? We’ve not seen many knives like the BeerHunter. 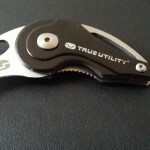 It’s a tiny thing, and folds to an oval keyring-esque shape, about the size of a car key fob. It comes in a hard plastic case that you will be able to find other uses for rather than throwing it away. Construction is sturdy. Overall, it looks like a quality item, and is nicely presented. Gift recipients will be pleased. 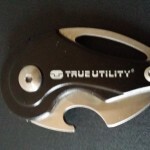 True Utility have aimed to provide a quality bottle opener with a handy pocket knife. Let’s see how they’ve got on. 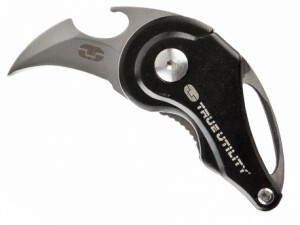 This is a curved knife, which is relatively unusual for a pocket blade. 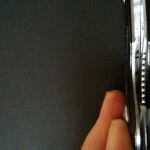 It tapers to a sharp point, which makes it good for opening boxes and the like, and is reasonably sharp out of the box. It’s pretty comfortable in the hand, with natural positions for your fingers to grip. The curved blade may come down to personal preference – it’s better at some tasks than a straight edge, but worse at others. We think it’s a perfectly reasonable choice, and does add to the BeerHunter’s appeal. The blade uses a locking mechanism, which is unfortunate for those in the UK – you can’t legally carry locking knives of any kind. 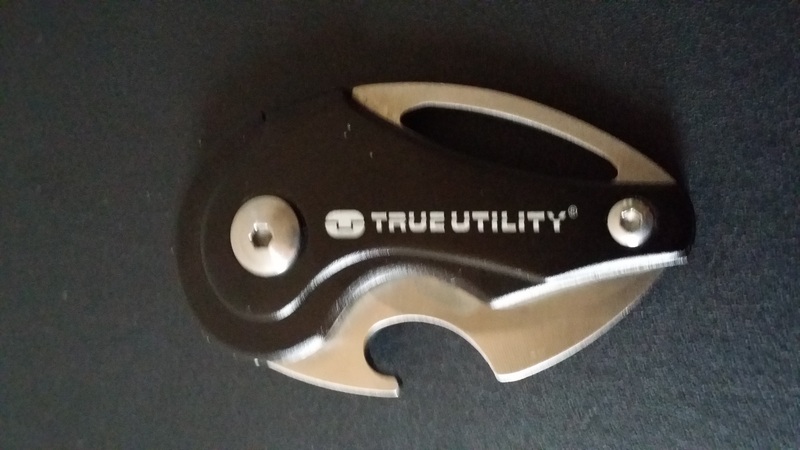 This is a big blow for anyone wanting to use this for daily carry (and given the size, this is really what it’s best at). If your country has more permissive knife laws, then you won’t need to worry about this. 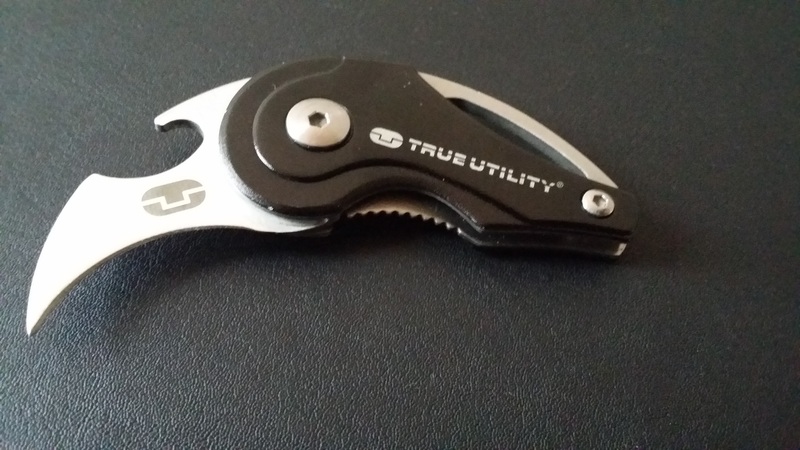 For a knife called the “BeerHunter”, we’re expecting a good bottle opener, and we get one. 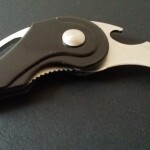 The opening mechanism is on the underside of the knife blade, which means you push against the blade to open your bottle. 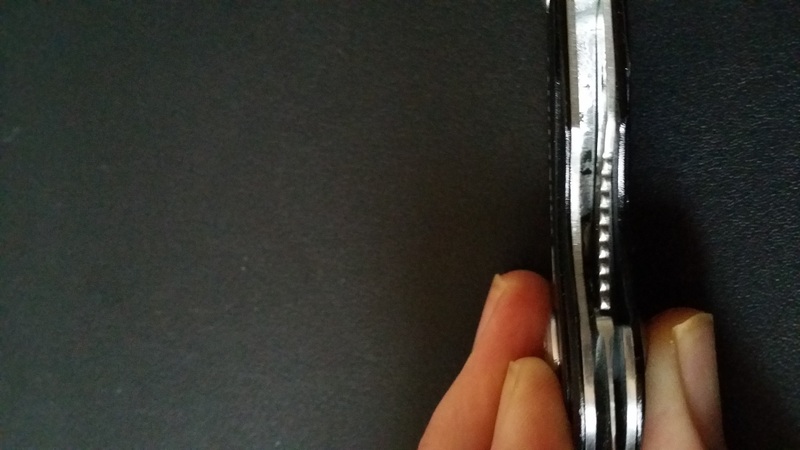 This explains the locking mechanism, without which you would push the knife closed onto your fingers. This works well enough, and we never felt in danger of the blade slipping while we we using the bottle opener. 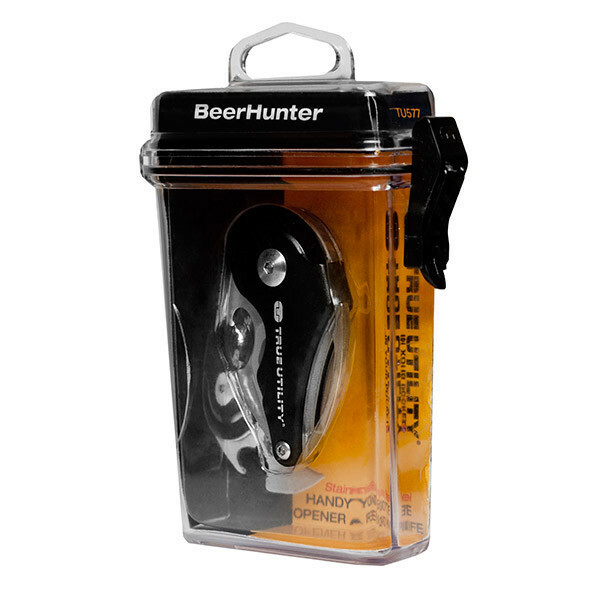 The BeerHunter is a quirky, portable pocket knife with a good bottle opener. Unfortunately, those in the UK wanting to use this as an everyday carry will be flouting UK knife law. This makes it difficult to recommend for Brits, although it’s hard to blame True Utility for that. For everyone else, this is a decent, if unusual, choice of pocket knife, and a perfectly valid one at that.